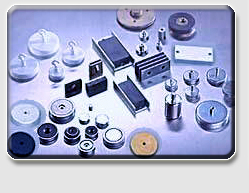 CMS Magnetics supplies various magnetic components for the industry such as components used in meters and odometers, as shown in the picture 1 & 2. The components in the Picture 2 are used for grabbing and lifting machines. They are also the necessary household convenient tools for the lifting and hanging purposes. Think about the case that you drop your tools or keys in your swimming pool accidentally in the winter. You can retrieve them very easily with a string and one of the lifting magnets. 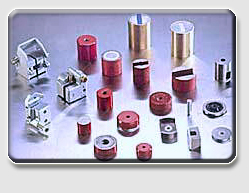 Consult the component engineers at CMS Magnetics for the details of the products. The customization is also available.